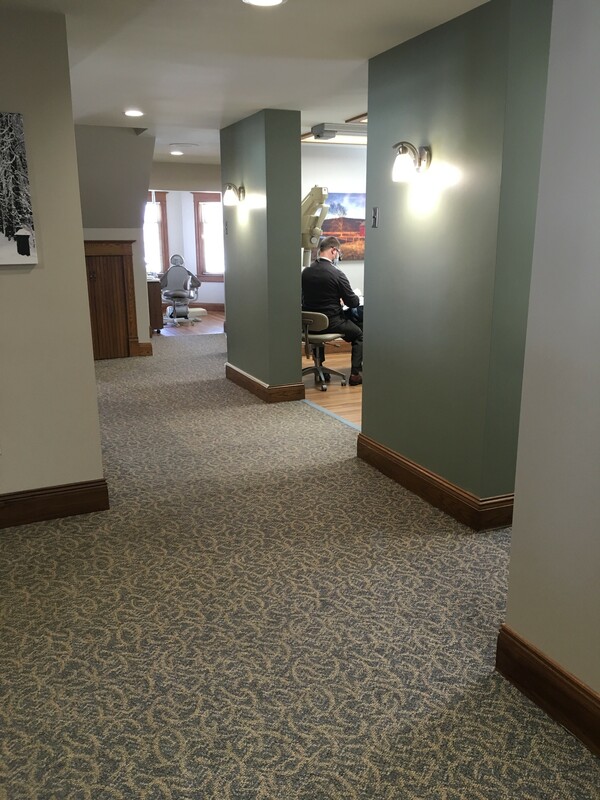 Our addition and remodel project is coming to completion and with it we are enjoying the added space for our patients both inside and outside. Thank you for your patience with us during our construction phase and we look forward to seeing you and sharing our new office with you. Patients can now park in our south parking lot and come up the ramp or park in our original lot (north lot) and come up the stairs. There is also free street parking on Clinton Street and Cass Street right by our office. 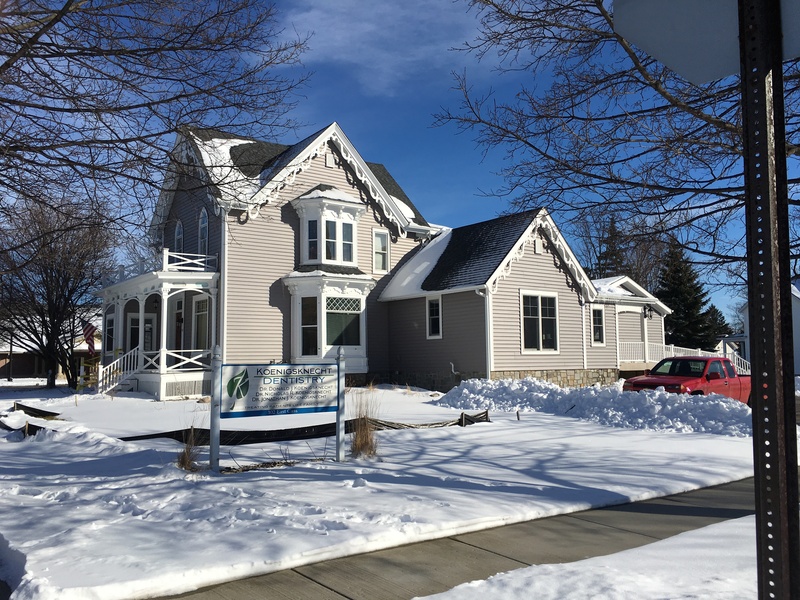 RSI Home Improvements gave us a whole new look on the outside – new siding, new roofing, but also helped us retain our victorian charm by copying the original decorative rake along the addition’s peak! All four hygiene rooms are now located in the front of the house. Each room’s decor will have a theme. Dr. Nick is pictured examining a patient in the farm room! 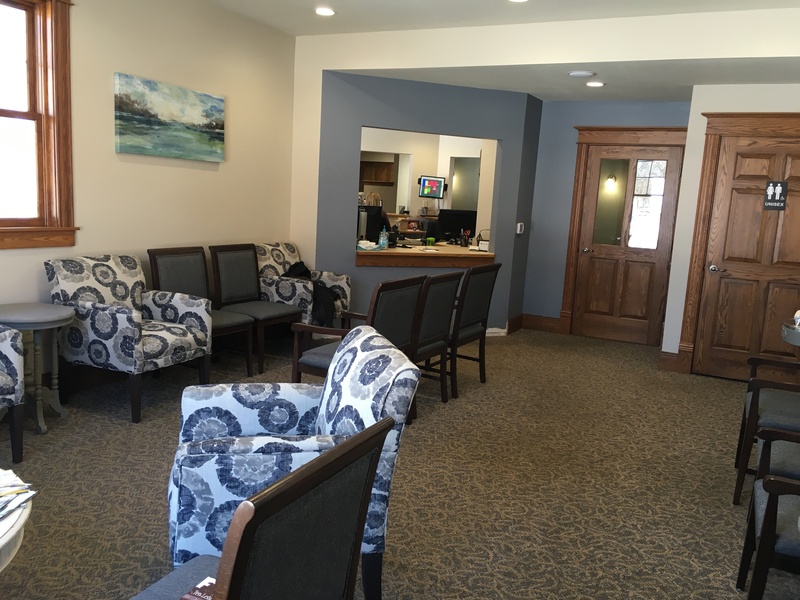 This is a sitting area for patients waiting to checkout. 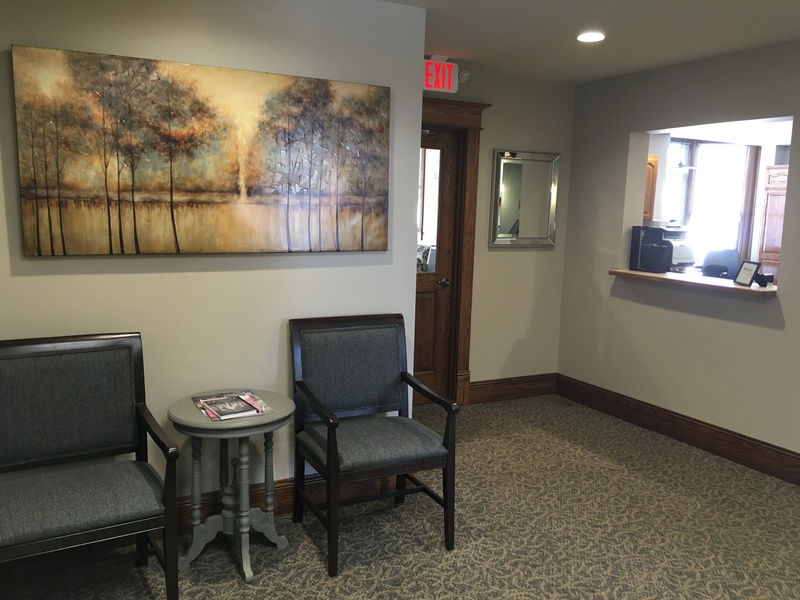 We made sure to include a mirror again so you can check out your smile before you go! Special thanks to Westphalia Electric for all of the great electrical work. Klein Cabinets will also be involved with some finishing work. We are happy to have the help of many local businesses. Hallways were expanded for ease of flow. 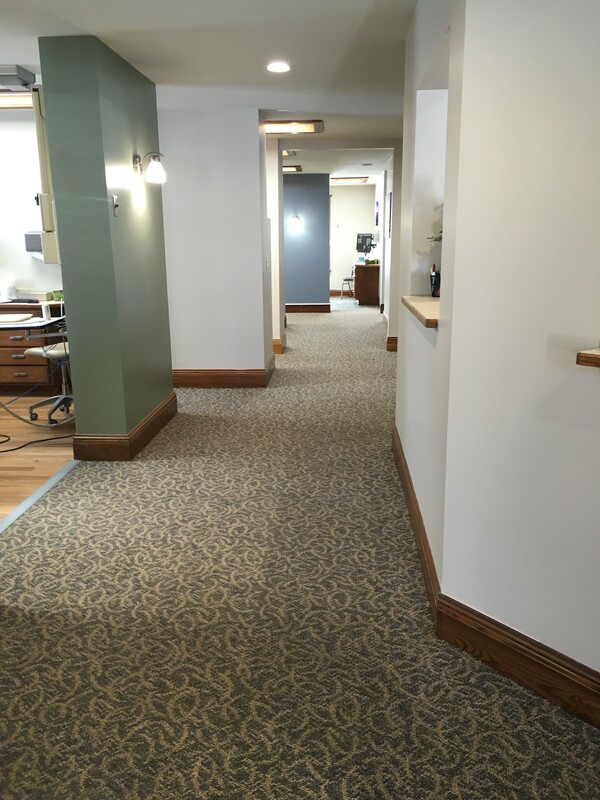 Barbers Floors and More provided new flooring for our operatory rooms as well as carpeted areas. All treatment rooms are now located in the back of the house. 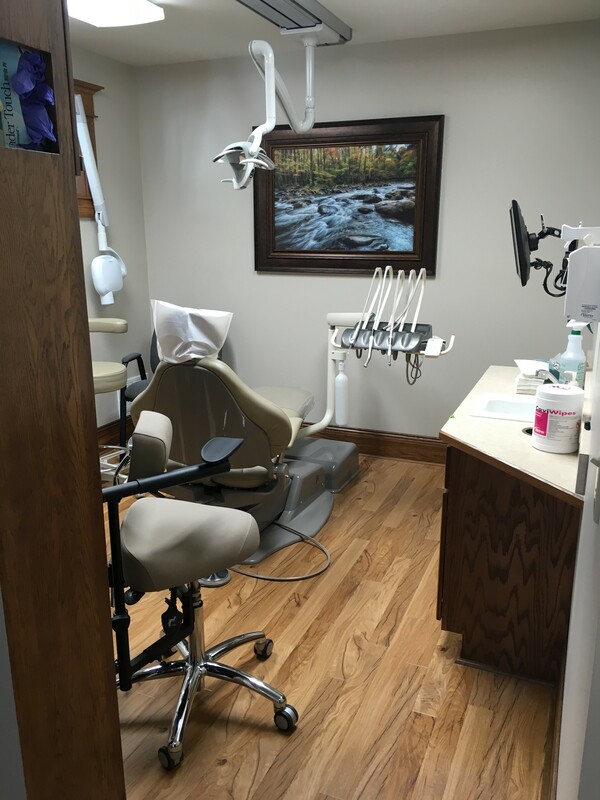 We have five total rooms for procedures. There is also a restroom for patients to use during longer procedures. 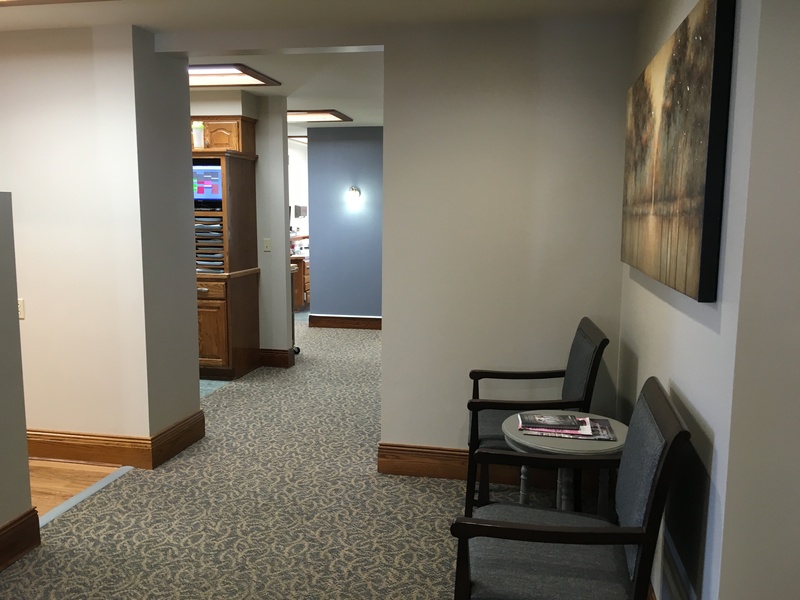 Two treatment rooms were added giving us more space for patient care and increased flexibility for scheduling cosmetic treatments such as our in-office Zoom bleaching system. 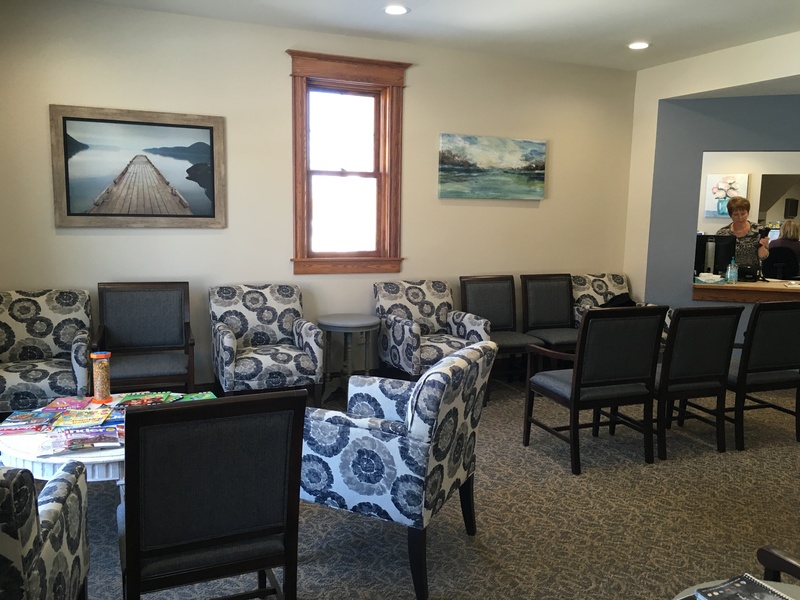 Our waiting room features more seating for patients, a drinking fountain and a new bathroom. Special thanks to Gray’s Furniture of Mt. Pleasant and DBI in Lansing for the new furniture. 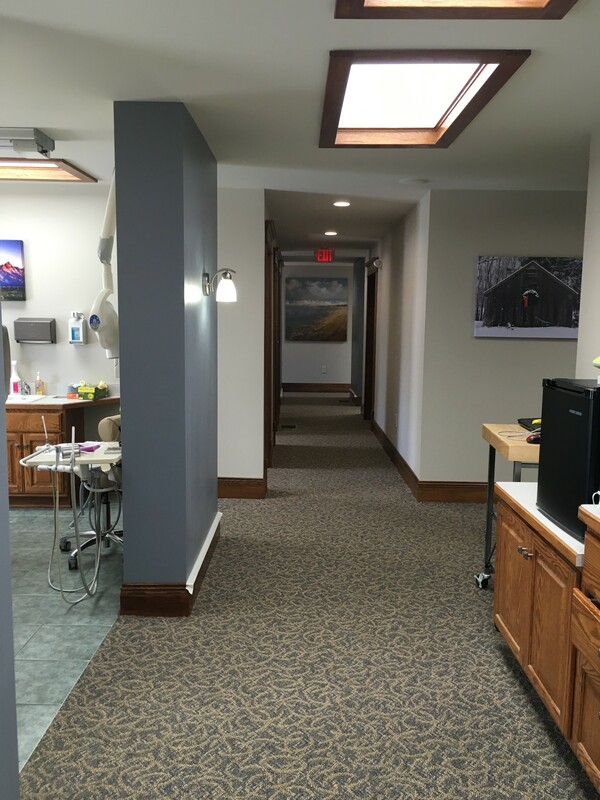 We are enjoying the extra space and updated look at our dental office. We hope you do too! This entry was posted in New Offerings, News. Bookmark the permalink. Both comments and trackbacks are currently closed.